Built just before World War Two and Communist rule ensured it ‘slept’ for years, the club has now been redeveloped and opened to tourism. Sarah Forrest reports on one of the most scenic golf courses on the continent. I had no preconceptions about golf in Slovenia, I couldn’t even spell Ljubljana! And here I was arriving into Ljubljana airport after an easy short flight from London. A small airport with no apparent organisation, quickly giving way to a Photoshopped blue sky contrasting lush green grass and with mountains in the distance intrepidly awaiting its first snowfall of the season. But where am I? Practically land locked, Slovenia nestles between Italy, Croatia and Hungary, with just 46km of Adriatic Sea peeping between Italy and Croatia. The Karavankas mountain ranges, reaching 2,236 meters in height, are the highest in Slovenia and boarder Austria. A country appealing to all outdoor enthusiasts, for walking, mountaineering, skiing, all water sports on its vast clear lakes, and of course for golf all presented in a clean unpolluted air and, for me, under a clear blue sky. Before I could belt out ‘the hills are alive’, I give myself a little pinch and think – oh yes, golf. But not just any golf, ‘royal golf’ no less! Located within the Julian Alps, close to Triglav National park, Royal Bled is the brainchild of the the former royal family of Yugoslavia, commissioned by Prince Regent Paul in 1937 and lately recognised by the Karađorđević royal family, giving it the justly deserved royal status of today. Winding our way up the hills through woodland and popping out at the top, even the road side entrance of The Kings House, which is neat and welcoming for golfers, does not prepare you for the impending views across the course to the mountains on the other side of the stone building glistening in the sun. Originally only open for a few years before war and Communist ruling, where golf was most likely seen as an elitist sport for the rich, the golf course was left to ‘sleep’. Despite early accolades as the most beautiful golf course, this giant was laid to rest until its somewhat timely re-emergence in the 1970s when golf course designer Donald Harridine was given the task of taming the unruly sleeping beast. And tame it he did, recreating the golf course we love to play today; changing golf hole layouts, tee boxes, upgrading greens and bunkers on the lush fairways, dragging it gracefully back into modern day golf. The 12th tee being the exception to this rule with the tee box being left in its original position, paying homage to the original pioneers and designers of Royal Bled. 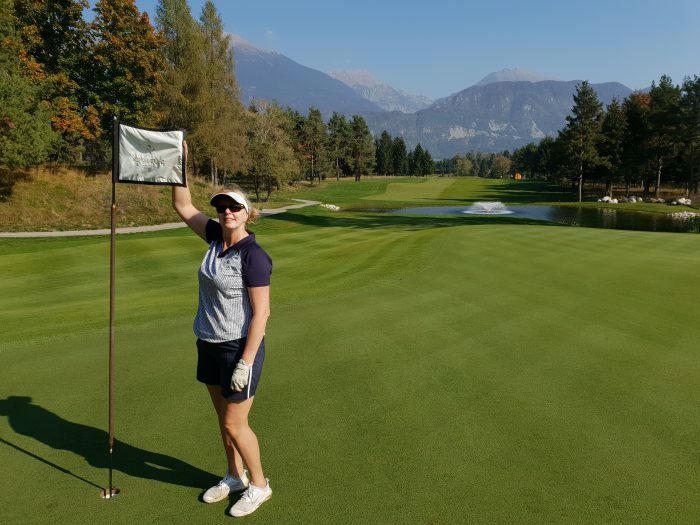 But despite all of this, golf was not a priority, and Royal Bled still laid ready and waiting to be rediscovered by the evolving golfing world. 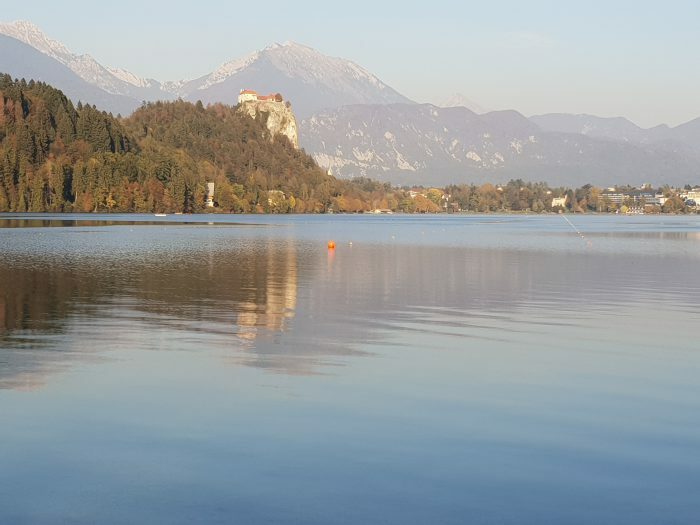 It wasn’t until 1991, with Slovenia gaining independence, did Royal Bled come into its own and the true glory started to shine through as tourism grew steadily. 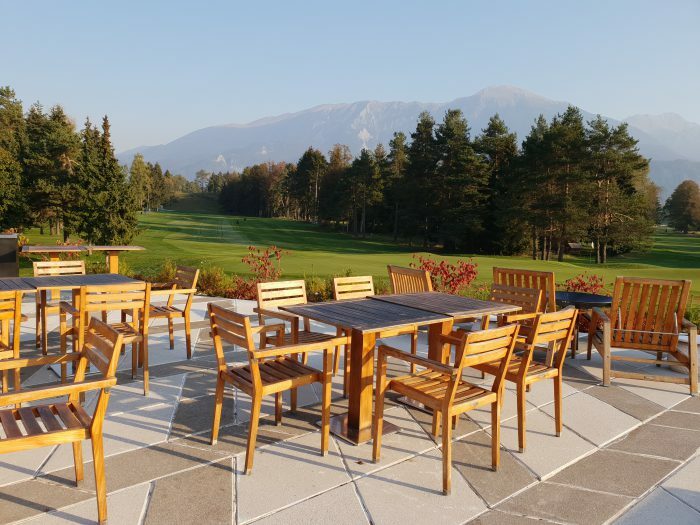 Boosted once again in 2013 when the golf course was sold to Serbian entrepreneur Dragan Šolak, a keen golfer himself who invested heavily to bring the whole resort to the highest standard for today’s market place. 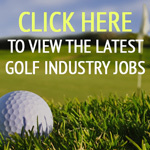 Another improvement was thanks to a new redesign – this time by William Swan from Swan Golf Designs. Figureheads of golf were invited in 2017 to stage a grand opening of this iconic venue, an opening fit for kings but most importantly fit for golfers. 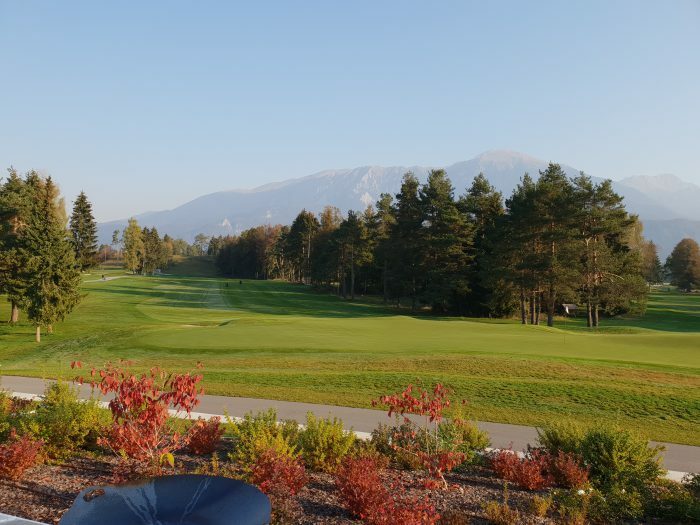 Sam Torrance declared Royal Bled’s ability to stage a major, if not the Ryder Cup. And there are more plans afoot to grow and build on the successful model currently in place. The Kings course is an 18-hole delight, stray from the, tight in places, fairways, and you’re in trouble, big trouble if you don’t watch you ball like a hawk, I don’t want to tell you how many golf balls I lost but that is down to the operator, not the course. Any decent (or not too greedy) golfer can plot their way around the course, by simply sticking to the fairways. The greens were fast and some were undulating; being a massive fan of MacKenzie greens which need to be read, a bit like playing snooker off the side pocket to avoid being black balled, having to think about the angles, the slopes putting with your eyes open always helps too. The Kings course is 6,563 metres from the back tees and 5,217 from the forward tees, so choose your yardage to suit your ability and you’ll be fine. In addition to the Kings course there is a nine-hole Lakes course. 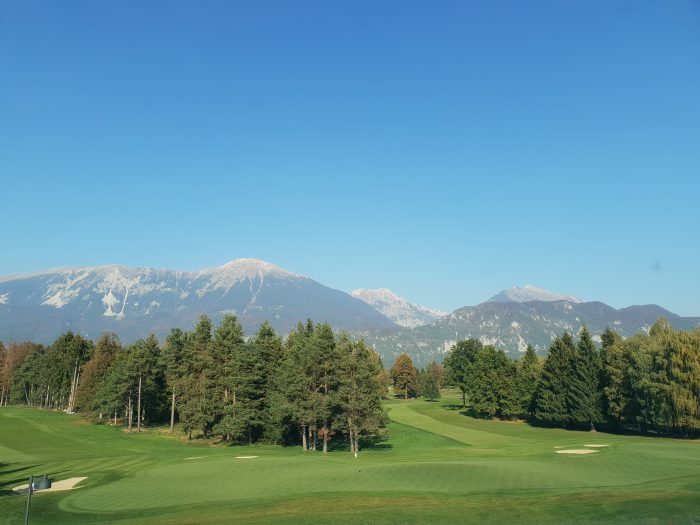 To be honest there are some amazing golf course around the world, but why I would go back to Royal Bled is beyond the great golf course, that stands up all by itself as a tick on one’s book of golfing life, but the whole package. Staff are extraordinarily happy, they are simply there to please, but it is done with such grace and willingness that shines through, to have a bit of laugh, to engage with each visitor to bring that personal touch is something else, a personal touch that makes a difference to the experience. It would be remiss of me not to mention other factors which make Royal Bled a delight; the food is top notch, with each course that exits the kitchen love has been bestowed upon it like a sprinkling of fairy dust across each plate, fairy dust that makes the taste great too. The onsite 10 bedroom Kings House has undergone a series of renovations to make it fit for, well, a king! Each bedroom is unique in design and to an exceptional high standard, the common areas have open fires, a state of the art bar and a warm, relaxed atmosphere you just can’t buy, again giving way to the warmness of the staff as they wait on your every whim. Sofas dotted around to encompass small and larger groups add to the ambience of the clubhouse sitting underneath circles of light being emitted from the modern yet rustic ceiling’s chandeliers. The addition of a modern glass cube restaurant doesn’t detract from the original style of the stone building, it adds to the experience overlooking the course. The best place to see the ninth and 18th holes coming back to the clubhouse is on the grand terrace, where you can barrack even the best golfers on the large, shared green. 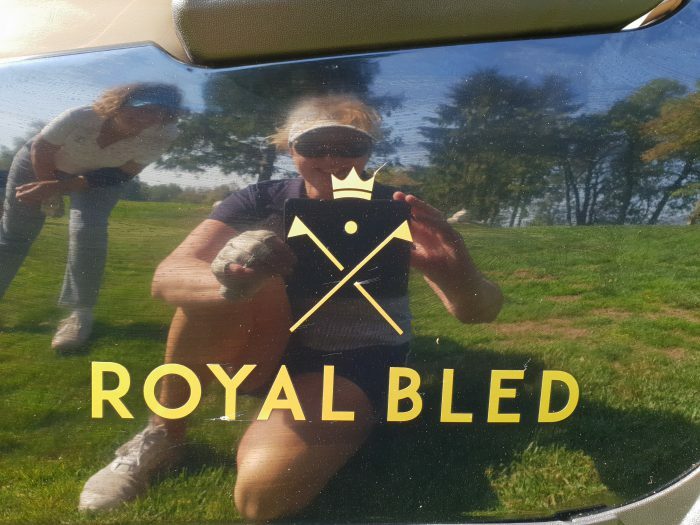 Interested in going to stay and play Royal Bled?